Thinking of letting a friend or relative photograph your wedding? Well, it has certainly been a minute since I last blogged!! Unfortunately when crazy wedding season hits I don’t get to blog as much as I’d like (or at all if I’m totally honest!) but now that things are starting to calm down a little I really wanted to do a post about a topic that keeps appearing more and more frequently around weddings; having a friend or relative photograph your wedding. I absolutely understand that weddings are an expensive beast, so when you’re approached by a friend or relative offering to photograph your wedding for free with their fancy DSLR, the offer seems too good to refuse. However, in years to come you won’t remember how much money you saved, but you’ll be left with your photographs. I may be biased of course, but your wedding photographer is one of the most important wedding suppliers you will hire for your wedding; simply for the fact that aside from your memories your photographs are what you’ll look back on in years to come – so it would be a crying shame if you didn’t like them! There are so many factors, that couples are understandably not aware of, that come in to play when photographing weddings; lighting, timings, having back up equipment in case of equipment failure, knowing how to be discreet throughout the day, being efficient when gathering guests for group photos so this part of the day doesn’t take up too much of everyones time (let’s be honest, everyone would rather be enjoying the prosecco and canapés! 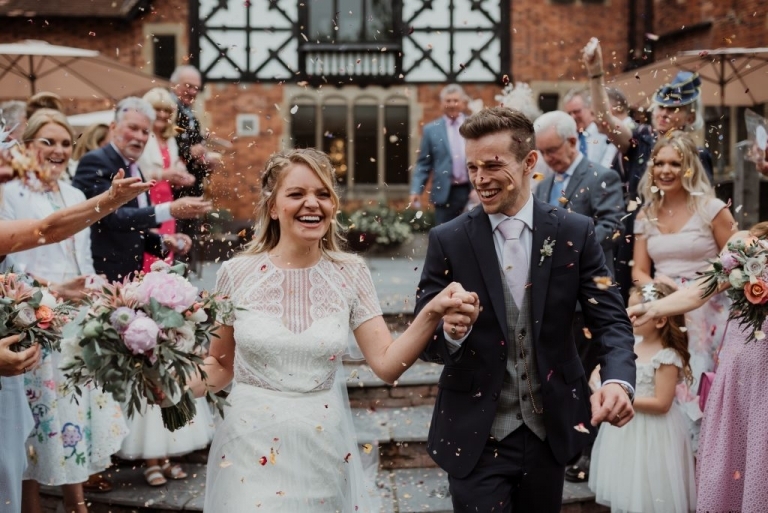 ), knowing how to work alongside videographers and other wedding suppliers to ensure everything runs as smoothly as possible on the day… these are just a few examples! 1. Do you have a Contract in place with them? It is absolutely vital to have a signed Contract in place prior to your wedding day, whether they are a friend/relative or not. This sets clear expectations and protects both you and your photographer should anything happen before, on the day or after your wedding. Always check if they have the relevant insurance to photograph a wedding. If any of their equipment is left lying around and a drunken guest spills a drink all over it or anything is stolen, you don’t want to be the ones left forking out to replace it. 3. Do you like their editing style? Do you like the way they edit their photos? Make sure you have a look through one or two full wedding galleries from previous weddings to make sure you’re happy with how they shoot each aspect of the day. Make sure their approach and style are consistent throughout the day. 4. What will you receive? How will you receive your wedding photographs? Will you receive them on a USB or via an online gallery? Will you receive any prints? Will you have an option to order a wedding album? Ask yourself how important these things are to you. 5. Has he/she photographed a wedding before? There is a huge amount of pressure that comes with being a wedding photographer, after all, your day only happens once and there are no do overs. You want to make sure that your wedding photographer is confident photographing in all lighting and weather situations, that they will be confident gathering guests for group photos, have back up equipment, are organised and prepared, know how to work with other wedding suppliers, are confident using flash… I could go on! 6. What happens if your friend/relative falls ill on your wedding day and can’t photograph your wedding? I, like most professional wedding photographers, are part of emergency cover groups on Facebook. So, if something was to happen to me on your wedding day and I was unable to make it, there would always be another photographer with a style similar to mine that would be able to photograph the wedding on my behalf. If your friend or relative was unable to photograph your wedding due to illness or an emergency, do they know other photographers that could step in? What would happen if this situation was to arise? I do hope this list of questions and pieces of advice help you to make an informed decision for your wedding photography! If you are currently looking for a wedding photographer and would like to have a chat, please don’t hesitate to get in touch via the contact form.